Discover new ways to succeed through business management tips, Coffee Shop Manager news and more. Explore the latest trends and business strategies relevant to your cutting edge Cafe or Coffee House. Gain insights on marketing to your Customers and how to build Brand Loyalty. Find out how others have used Technology to save money and boost sales. The art of coffee has spurred a multitude of brewing methods to extract the ultimate flavor profile from the humble bean. 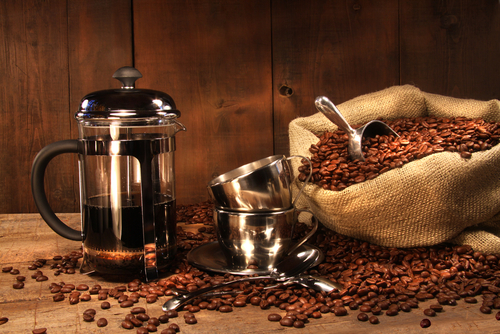 The two most used and fought over are the French Press and Pour Over methods. Both options use a steeping method of sorts to infuse the water, bringing out a bouquet for the senses. The ultimate question is which brings out the best in the coffee? This is where the arguments start… friendships have been tested over this question… business partnerships on the ropes… But, let’s face it – it is all about the bean and is a worthy argument! I will choose the middle of the road on this one and tell you I actually prefer both, depending on the brewing occasion. This amazing device has been around since the late 20’s and has acquired endearing nicknames such as ‘the plunger pot’. The press pushes grounds to the bottom of the container forcing the water through a screen to extract the flavors after a few minutes of steeping. This method allows more oils to pass through producing a rich and full-bodied cup of coffee. Opposition feels this method extracts too strong of a brew, overwhelming the palate. Supporters feel this method opens up the coffee fully highlighting the various flavor layers and complexities. Fun Fact: The French Press was patented by an Italian Designer, not a French man! Mon Dieu! This method involves a cone filter cradling the grounds while water is poured on top to saturate the beans and steep the water, slowly moving it into the carafe. This method provides a less ‘forced’ extraction resulting in a cleaner cup of coffee. Opposition feels this method mutes the taste and creates a lighter flavor profile. Supporters feel this method provides a smoother extraction taking the bitterness out. So what does this all mean? Essentially a French Press will provide a rich and robust experience while a Pour Over will provide a clean taste. Either way, both should take about 3-4 minutes to produce once you have the hot water prepared. Pour hot water into the container to heat it up and in preparation of the brew. Discard the water before starting the brewing process. After adding your grounds to the French Press pour enough water to submerge them (about 10% of total water) and let it sit for a few seconds, then stir the grounds to open up the coffee. Wet your Pour Over filter before adding the grinds. Finish adding the water to your Pour Over by hitting the walls of the filter to help level out the bed of grounds.